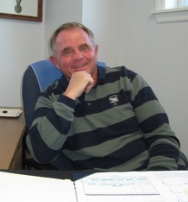 Clarion Plumber: - Plumbing, Heating and Air Conditioning in Clarion, Venango, Jefferson and Armstrong County. Need Plumbing, Heating or Air Conditioning Service in Western Pa.? 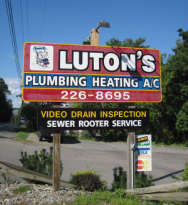 At Luton’s Plumbing, Heating and Air Conditioning, we believe that a service-oriented business like ours should give you quality care in a quick response time. That’s why we stand on our promise, offering you reliable 24 hour service that gets your job done – right when you need it. Because you deserve a service professional you can trust, we make a daily commitment to practice the sound business principles of integrity and honesty. We pride ourselves in over 20 years of successful business – as we tackle plumbing, heating and air conditioning jobs of all kinds and sizes. Our wide variety of services can give you just what you need for your home or commercial property. From Roto-Rooter to furnace installation to commercial cooler refrigeration ... and more. Whether you’ve got a leaky faucet or a commercial two-story office building that needs a HVAC design build system, we’ve got you covered. Our unlimited amount of services give us the ability to handle the scope of any job you may have -- small or large. Need it Fixed ... Right Now? You know the usual routine. You leave a message for a plumber or someone to service your heating system and then you wait right? Maybe you’ll get a call back, maybe you won’t. At Luton’s Plumbing, Heating and Air Conditioning, we take the guess work out and eliminate the waiting game. Our 24 hour Emergency Service means there’s a real person at the other end of the phone every time you call. 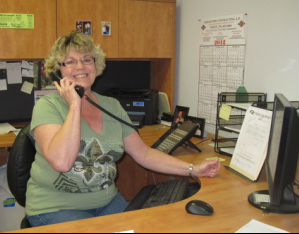 We’ll quickly assess your job and assign one of our trained service professionals to the task – often in the same day. With Luton’s there’s no waiting for a call back, no missed messages … no kidding. It’s never a good time for a plumbing, heating or cooling emergency, but when one happens at 2 a.m., it’s good to know that you can call Luton’s. With our 24 hour Emergency Service you can get a trained service professional out to your job as soon as possible. Let’s face it, weather in Western Pa. can be difficult to bear at times. And a breakdown during frigid temperatures can create a life or death situation for you and your family. Calling Luton’s can protect your family’s health and safeguard your property. Here at Luton’s it’s important to us that you are thoroughly satisfied with our work. If you’ve got a complaint concerning our performance, be sure to let us know and we’ll make it right. That’s a promise from us to you, our valued customer. ”I use Luton’s for my home and my business, and I think people would be very satisfied with the results both residentially and commercially. “I want to save the way the rest of the world does but I want the job done, and I want it in a timely manner.